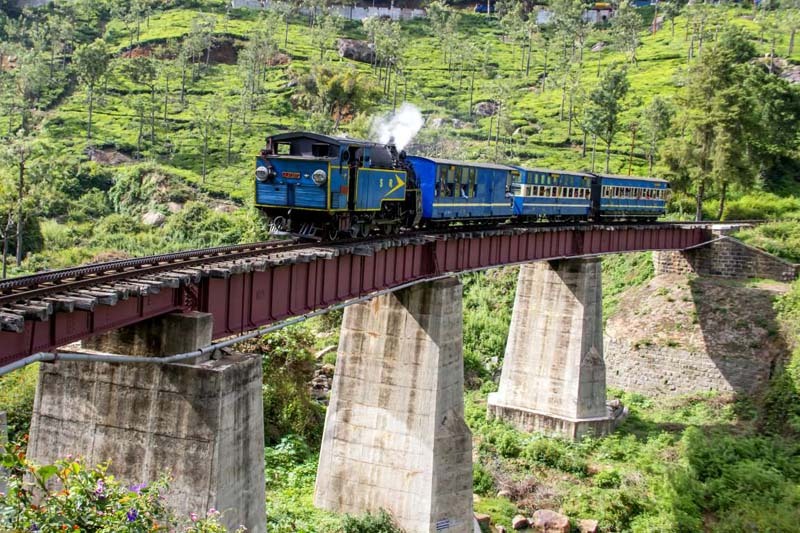 Udhagamandalam (or Ooty) is known as the 'Queen of the Hill Stations' and getting there on board the Nilgiri Mountain Railway is a right royal treat. 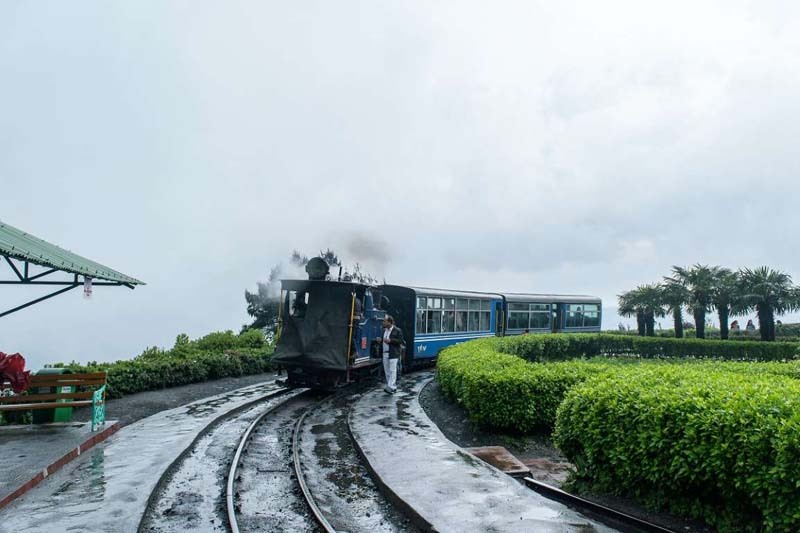 The narrow gauge train, which is powered by a steam locomotive, twists and turns its way across plains, through tea plantations, and up into the forested hills. The railway, which was declared a UNESCO World Heritage site in 2005, traverses 16 tunnels and high bridges along the way. Its top speed is a leisurely 33km per hour, so you'll have plenty of time to enjoy the breathtaking scenery. Keep an eye out for the playful Nilgiri langur and bonnet macaques skittering through the trees along the route. 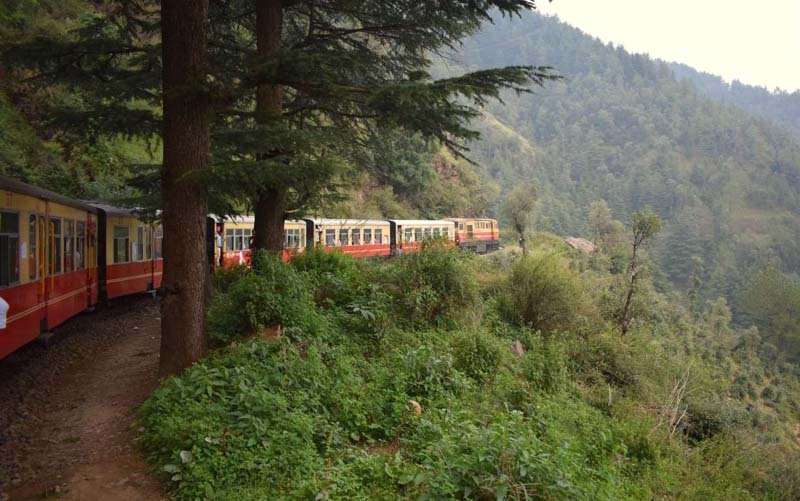 The train from Kalka to Shimla covers a whopping 96 kilometres traversing over 107 tunnels and lofty arched bridges, and a seemingly endless series of S-bends. Every switch-back reveals an unforgettable panorama, so you'll be grateful for the train's gentle pace. The picturesque stations along the way such as Dharmpore, Taksal, Gamma and Solan offer a gentle introduction to what lies ahead in Shimla, your final destination. This famous hill resort was the 'summer capital' during British rule, and is a curious mix of quaint cottage-style villas and highland shooting lodges. In winter it is carpeted in snow, and even in summer you may arrive to find it shrouded in mist. The narrow-gauge line that winds from Neral to Matheran is a delight. 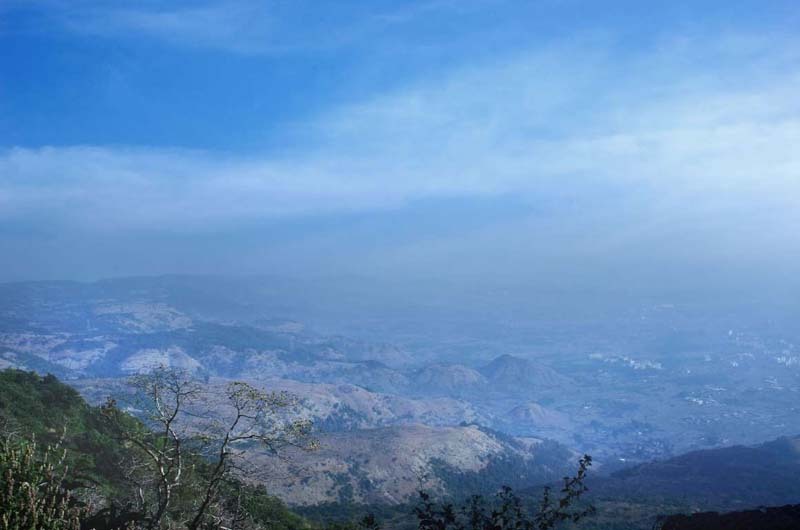 The 77-year-old line is the main way to Matheran, in the Western Ghats, and as it chugs up into the clear mountain air through 'One Kiss Tunnel' the view across the hills and plains below is breathtaking. Arguably the most famous of India's 'toy train' lines, the Darjeeling Hill Railway also boats the narrowest gauge. Trundling along a track barely two-foot wide, the train zigzags its way up into the mountains, pulled by a tiny steam locomotive as old as the line itself. The spiral at Ghoom (2,258m) offers the most unforgettable view. On a clear day, the Himalayas seem to go on forever, and you can pick out Kangchenjunga the world's third-highest mountain. On arrival in Darjeeling, you'll be treated to quaint colonial-era architecture, Buddhist monasteries, and a pot of the region's famous tea. The Kangra Valley Railway runs through the Himalayan foothills from Pathankot to Joginder Nagar, crossing 950 bridges and offering uninterrupted mountain views along the way. But whereas India's other 'toy trains' are popular with tourists, the Kangra Valley Rail mainly serves local people. The 163km journey is slow, but offers a real insight into Indian life. And the scenery is spectacular: you'll spot ancient forts and temples, and pass through pine forests and tea gardens. The steepest stretch is between Baijnath and Joginder Nagar: here, the train slows to a snail's pace, allowing you to fully appreciate the majesty of the snow-capped mountains before you. This article was supported by Incredible India, but it is independent and impartial just like all Wanderlust editorial.